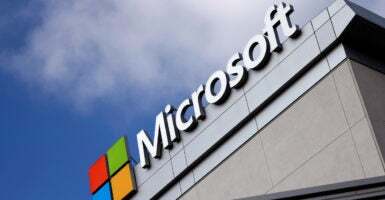 Microsoft is preparing to defend itself against the federal government at the Supreme Court in a case that could have a dramatic effect on Fourth Amendment privacy protections and international relations. The Supreme Court is set to hear oral arguments Feb. 27 in United States v. Microsoft Corp. The case challenges a decades-old communication law, the Stored Communications Act of 1986, which Congress passed before the internet existed and when email was in its infancy. In advance of the high court case, experts at The Heritage Foundation, a leading conservative think tank in Washington, discussed the current state of communications laws in the U.S. and the need for Congress to modernize them while protecting Americans’ privacy rights. The Stored Communications Act gives the government the power, if it obtains a warrant, to require an email provider to turn over the contents of the emails stored on its servers. “This law [the Stored Communications Act] could not have foreseen everything that was going to happen after 1986, even with technology,” said Rep. Warren Davidson, R-Ohio. In this case, the government obtained a warrant requiring Microsoft to produce emails from the account of one of the targets of an investigation in a drug-trafficking case. Microsoft refused to give up the emails because the servers are in Ireland. Under the presumption of extraterritoriality, ordinarily the reach of the government stops at the borders, Malcolm said. Congress is considering various legislative proposals to address the problem. One such proposal is the International Communications Privacy Act, and it has bipartisan support. The House and Senate versions of the bill aim to “safeguard data stored abroad.” They would require a warrant for most communications, regardless of whether they are stored in the U.S. or abroad, and provide the legal framework to obtain electronic communications of U.S. citizens, regardless of their location. That would require bilateral agreements between nations, said Klon Kitchen, a visiting fellow in technology, cyber, and science policy at Heritage. The problem, he said, is that few nations would be willing or able to meet the privacy and legal requirements. If you write something in a journal, it’s protected forever, but if it’s in an email, there’s an expiration date, he explained. “I don’t see an expiration date on the Fourth Amendment,” Davidson said.